One of the benefits associated with higher soil organic matter levels accompanying conservation cropping is non-symbiotic nitrogen (N) fixation. Natural nitrogen supplied by soil bacteria has been recognised and adopted by Australian farmers for decades and is the basis for crop rotations with pulses and ley farming with pasture species such as sub clover, medics and lucerne. Another less recognised natural N source is also generated by bacteria but they are not in a symbiotic relationship with the plant roots. A review of these bacteria by CSIRO scientist Dr Margaret Roper demonstrates the potential emerging particularly as a result of the widespread trend towards higher soil organic matter through stubble retention and controlled traffic farming and possibly with alternative cropping practice such as pasture cropping. One Victorian DPI crop agronomist Rob Sonogan has evidence that non-symbiotic nitrogen fixation is already making a significant contribution to crop yield in the Victorian Mallee on farms where soil organic matter is increasing. 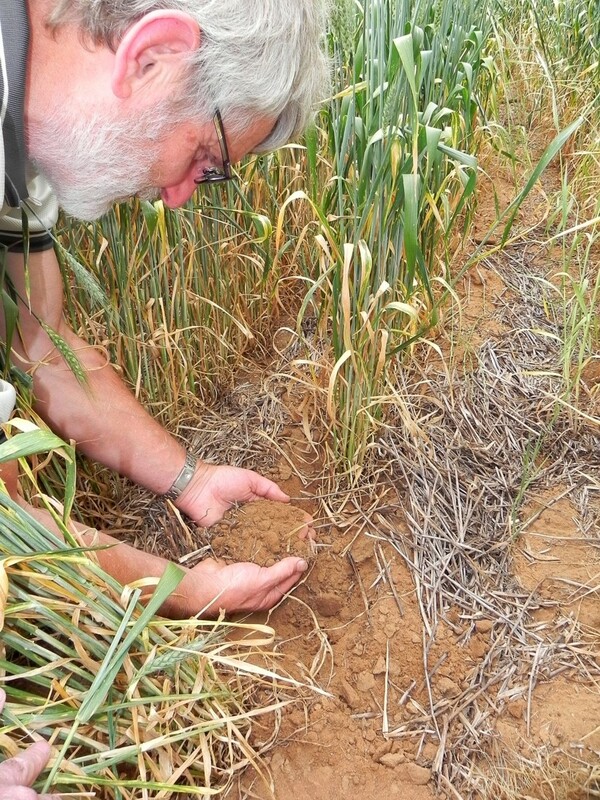 He has evidence these bacteria are contributing up to 75% of the growing season nitrogen requirements for a 2 tonne/ha Mallee wheat crop. Another consultant Ken Sharpe contends increasing soil organic matter levels is the key factor behind increasing levels of plant available soil phosphorus and the reduced requirement for P fertiliser. A theme is emerging about the impact higher labile soil carbon levels are having on plant available nutrients. And it’s happening in conventional cropping systems where chemical fertilisers and pesticides are also being used. According to Roper non-symbiotic N2 fixation includes N2 fixation by free-living soil bacteria (autotrophic and heterotrophic) that are not in a direct symbiosis with plants, and associative N2-fixing systems (e.g. associated with the root rhizospheres of grasses and cereals). She says that globally, about 83 million tonnes of N fertilisers are produced each year by the Haber-Bosch process. The manufacturing process uses large amounts of fossil fuel which is costly and adds to greenhouse gas emissions. “This, together with the increasing demand for organically grown agricultural and horticultural products, and environmental concerns has rekindled interest in promoting biological N2 fixation,” Roper says. 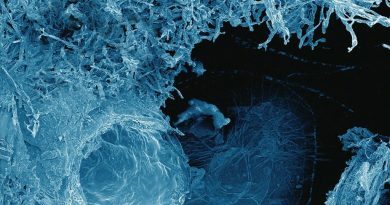 An estimate has been made that the potential global biological N2 fixation (symbiotic and non-symbiotic) in natural ecosystems is between 100 and 290 million tonnes N year per year. Of this it is estimated that, in soils under agricultural production, approximately 33 million tonnes N year per year is biologically fixed. Roper says it takes about 26 kg N to produce 1 tonne of wheat grain including straw . Of this about 20 kg N is removed in every tonne of grain harvested, and hence, for grain yields between 2-8 t ha/ha, this represents an annual removal of 40-160 kg N ha/ha . At peak demand in a growing crop, N demand exceeds supply from N mineralisation and N fertilisers compensate for much of this shortfall. In Australia, wheat yields in a non-drought year average about 2 t/ha and, based on the calculations above, this represents an annual N removal of about 40 kg N ha/ha. Since the early 1990s, the use of nitrogenous fertilisers has increased at an annual rate of 14% , although since 2000, fertiliser demand has remained steady due to a series of drought years. “If biological systems could be manipulated to increase the inputs of N from non-symbiotic N2 fixation it should be possible to reduce the requirement for increasingly expensive industrially fixed N fertilisers,” Roper contends. A literature review show non-symbiotic N fixation data in cereal crops is limited. One study revealed that between 10-30 kg N ha/ha/crop could be fixed by free-living and rhizosphere N2-fixing bacteria associated with wheat. In contrast another estimated that inputs from non-symbiotic N2 fixation are likely to be less than 5kg N/ha. Another calculated that, based on an average yield of straw of 2 t/ha with a C content of 43%, a contribution of 50-150 kg N2 per ha fixed by free-living bacteria is theoretically possible, provided that metabolism of the straw is substantially directed towards N2 fixation. Roper says in Australia reports on grass associations claim contributions of N via non-symbiotic N2 fixation of 20-50 kg N/ha/year. Field measurement of N2 fixation by free-living bacteria using crop residues as an energy source indicated 1-12 kg N/ha fixed during short periods of 2-4 weeks, but where warm, moist conditions coincide with fresh stubbles, annual potentials of up to 38 kg N/ha/yearhave been calculated. But rates of non-symbiotic N2 fixation are significantly less than estimated N inputs from symbiotic N2 fixation which range from 2 to 284 kg N/ha/year in legume pastures and 0-271 kg N/ha/year in grain legumes. 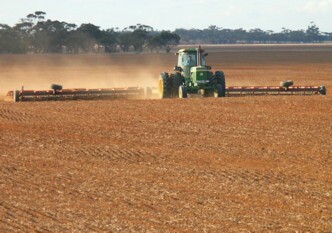 But there has been a significant change in farming systems across Australia over the last 20 years. Cereal cropping has become more intensive and productivity has increased by more than 50% with associated increases in nutrient and carbon turnover. As well the almost universal switch to no-till or conservation cropping has boosted soil biological activity compared with cultivated soils. However, biological changes in response to reduced/no- tillage practices can be slow sometimes taking several years to develop. “All of these changes are likely to have significant impacts on non-symbiotic N2 fixation through the provision of larger carbon (C) resources for biological activity, and the creation and preservation of ideal conditions for non-symbiotic N2 fixation. “Reduced N mineralisation over summer associated with intensive non-legume rotations, and increased available P are further drivers of N2 fixation. These practices also conserve soil moisture and maintain microbial activities and interactions. Therefore, it is important to re-evaluate non-symbiotic N2 fixation in these newer systems where environmental conditions and much larger C substrates are likely to encourage microbial activity. Furthermore she says it may also be appropriate to evaluate alternative systems such as ‘pasture cropping’ which may require low N fertiliser inputs due to gains from N2 fixation but also reductions in N losses. Further gains may be possible through inoculation with highly efficient N2-fixing bacteria particularly if they have the additional capacity to promote plant growth through the production of phytohormones. However, the ultimate test for even the most beneficial inoculant is to be able to survive in soil and colonise plant roots. Inoculation with bacteria that can form an endophytic relationship within the plant may increase the potential for success. 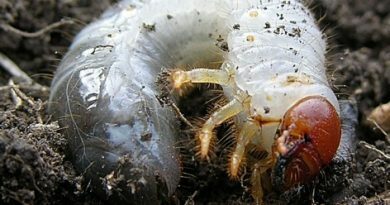 However, many effective diazotrophic bacteria remain unculturable and this may limit farmers ability to exploit them as inoculants unless new culturing techniques can be developed or alternative means of transferring them to plants can be found. There is evidence that early wild relatives of some of our modern cereal varieties or plants that have been bred with low N fertiliser inputs have a greater capacity to fix N2 non-symbiotically than those varieties that have been bred in conjunction with the use of fertilisers. Further, it has been observed that these wild types support significant populations of unculturable diazotrophic bacteria which appear to be superior to culturable diazotrophs. Re-introduction into modern varieties of traits that promote the colonisation of highly efficient but unculturable diazotrophic populations may be achievable through plant breeding. “Any strategies to increase non-symbiotic N2 fixation should be coupled with mechanisms that reduce N losses from the soil so that maximum possible benefits from non-symbiotic N2 fixation might be achieved,” Roper says. Some farm consultants like the DPI Swan Hill’s Rob Sonogan are seeing the connection between increasing soil organic matter levels and greater activity of free live nitrogen fixing bacteria. The result is more natural nitrogen and reduced amounts of applied fertiliser. More than 50 different genera of culturable diazotrophic bacteria have been identified, but more recently, new molecular technologies utilising analysis of the nifH gene (a structural gene for the highly conserved nitrogenase protein) and stable isotope (15N2) probing have identified a suite of previously unrecognised diazotrophic microorganisms. Some soil scientists have that suggested these non-culturable diazotrophs may be the dominant N2-fixing microorganisms in soils compared with their culturable cousins. The capacity for non-symbiotic N2 fixation is extensive across bacterial types. Roper says this great diversity ensures the adaptability of populations of N2-fixing microorganisms to a wide range of conditions. Prior to their discovery the only endophytic N2-fixing bacteria recognised were those in legume-rhizobium or Casuarina-Frankia symbioses. Endophytic bacteria are at an advantage compared with free-living or rhizosphere bacteria because they have ready access to nutrients and water from within the plant and are not vulnerable to competition from other microorganisms in the rhizosphere or soil. Therefore, such organisms are more likely to be successful as inoculants.